With elections nowhere in sight and with President Kabila clinging onto power despite his mandate having expired in December 2016, Ilunga Mpyana analyses the historical precursors to the country’s political impasse in order to ascertain the best way forward. 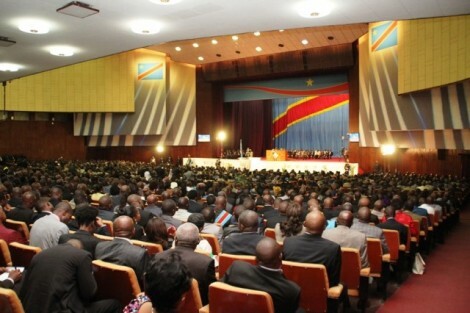 On 30 June 2017, the Democratic Republic of Congo (DRC) marked its 57th anniversary since independence, amid political tension and uncertainty, as a result of the refusal of President Joseph Kabila to step down, despite his mandate having expired in December 2016. Instead, Kabila called for a national dialogue among all political actors and civil society, to resolve what he considered a political crisis in the country. However, this move has been interpreted by many as a strategy to cling onto power. For most Congolese, political crises are part of the collective ‘imaginaire’. There is arguably no place on earth where history has repeated itself so much than in the DRC. This was the case during the pre and post-independence period in 1960, during the democratic wave of the 1990s, and under Joseph Kabila from 2001 to the present political impasse. As such, the DRC’s continued instability should be read through the lens of its (failed) attempts at negotiated democracy during critical moments of its history. As much as a consensual outcome could be more desirable than for example, the winner-takes-all aspect of elections in neopatrimonial states, the question here is not whether negotiations are good or bad. Rather, it is whether they are the best way forward for the DRC. I argue that seeking consensus is not the best approach for resolving the Congo’s ongoing crisis, as a result of the country’s history of failed negotiations and a series of unimplemented agreements. Negotiated democracy should meet three fundamental conditions prior to, during and after the negotiations for it to meet the desired objectives of stability, certainty and a sense of direction. Prior to the negotiations, it is important that all parties agree on the existence and nature of the problem. For this, it is important to ask how the situation was arrived at. Second, if mediation is required during the negotiations, the impartiality of the mediator should be unquestionable. Third, the demands of both parties should not be diametrically opposed or showing little areas of agreement; instead there should be areas for consensus. Finally, after the negotiations, there should be effective guarantees that the agreement will be respected and implemented. This ultimately depends on the degree of trust each party expresses in the other to uphold their side of the agreement. 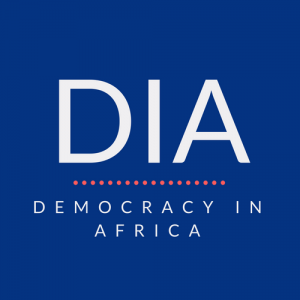 As a result of the failure to meet these three fundamental conditions, the DRC’s numerous negotiated attempts have historically been unsuccessful in both resolving the country’s political crises and entrenching democracy. During the 1960 independence negotiations, the Congolese elite was divided across two major lines, with diametrically opposed interests. Despite a brief show of unity in order to speed up the independence negotiations with Belgium, their disagreements could not be reconciled and only 11 days after independence, the country descended into a severe political crisis. The second major attempt at negotiated democracy came under President Mobutu’s one-party dictatorship, during the democratic wave that hit most of Africa in the early 1990s. Following much political agitation and pressure from the opposition, Mobutu eventually agreed to convene a national conference in 1990. However, it was difficult to reach consensus among the delegates, given the nature of their demands. Moreover, the resolutions of these discussions were never implemented as Mobutu sabotaged the entire process by dividing and manipulating the opposition and repressing civil society. The current regime under Joseph Kabila (in power since 2001), has also engaged in a series of crisis creation and negotiation attempts as a means of consolidating power. The present political crisis can be traced back to September 2013 when Kabila convened National Consultations in an attempt to resolve the country’s insecurity challenges and strengthen national cohesion. However, these were boycotted by major opposition parties, which claimed that Kabila had sought to use the consultations to bypass organising elections at the end of his mandate. Once again, for the few who attended the deliberations of these consultations were never implemented. Indeed, Kabila failed to organise elections in 2016, instead calling for another series of national dialogues to resolve the political impasse. The first, in October 2016, was boycotted by the major opposition and civil society groups, who did not agree with the regime on the existence of a crisis in the country. For them, Joseph Kabila was the problem and he had to step down after his mandate expired in December 2016. For the smaller opposition parties that took part in the dialogue, the impartiality of the facilitator was challenged and the agreement reached failed to garner support among most Congolese. The second dialogue, convened in December 2016, was attended by all major political actors, who agreed to the existence of a crisis, although not its nature, as the opposition maintained that Kabila was its source. Nonetheless, an agreement was reached to form a twelve-month transition government with Kabila remaining President. The opposition would then nominate a Prime Minister to run a government whose main mission would be to organise general elections by the end of 2017. However, history repeated itself once more and no guarantees were provided to ensure all parties respected the deal, as well as a course of action prescribed in the event its terms were violated. The present political crisis is, therefore, the result of another flawed negotiation process mainly due to an unwilling and untrustworthy regime led by a President with too much power, a strong advantage of incumbency in terms of resources, on one hand, and an opposition movement lacking in tact, foresight and unity and weakened by political economy factors such as the use of political parties as vehicles of personal ambitions for the elite on the other. Following in the footsteps of his predecessors, Joseph Kabila has shown that he is unable to negotiate in good faith. He has since failed to respect the December 31st Agreement and continues to sabotage the transition process through delaying tactics, dividing the opposition and political opportunism. First, his continued silence on his own political future is fuelling even more tension and uncertainty as many Congolese suspect he will cling onto power beyond 2017. Second, he has successfully divided the opposition by appointing a Prime Minister of his choice, in direct violation of the December agreement. Third, the government continues to fuel insecurity and tension in the country by arresting opposition members, civil society activists, and journalists; using excessive force at protests; and has even been deemed complicit in the violent conflict in the Kasai region. A series of prison escapes across the country have also raised fears of increased violence. Instead of addressing this wave of insecurity, the government has instead leveraged the insecurity to its own advantage, stating that the violence made it impossible to hold timely elections. Meanwhile, opposition actors have also failed to respond effectively to the escalating crisis. More specifically, they have lacked tact and foresight in failing to demand guarantees for implementation of the agreement and did not demand a specific date for elections, leaving it open to government manipulation. They have also failed to hold a united front to tackle the regime’s manipulations. Instead, individual thirst for power has led to power struggles among opposition leaders for positions in transition government institutions, all the while alienating the Congolese population from the centre of political debates and further delaying the crisis resolution process. Taken together, this poses a challenge to the legitimacy of the political elite, both opposition and government. A series of national opinion poll by the Congo Research Group over 2016 revealed that Kabila’s popularity stood at only 7.8%, while a second poll in May 2017 showed more than 50% of Congolese were tired of the endless negotiations and delays in implementing the December 2016 agreement, which 83% nevertheless expressed support for. This state of affairs presents an urgent need for elections (rather than another elite-negotiated process) in order to restore peace, stability, security and the legitimacy of public institutions and put citizens at the centre of decision-making, in accordance with the current Constitution. However elections alone are not a panacea. The long-term course of action should focus on the long process of state building in the DRC. This includes re-examining the Constitution to limit presidential powers; strengthening the role of parliament; curbing the misuse of State resources by incumbents and a more effective implementation of decentralisation. Ilunga Mpyana is a political and policy analyst, with experience in government, international development and the private sector. He holds a Master of Science in African Studies and a Master of Public Policy, from the University of Oxford. Next articleBiafran unrest and the shrinking national cake: what prospects for Nigeria?